This offer is only valid for players that are registered through sportwett-tipps.de. If player does not have the respective affiliate btag he will not be elligible for this offer. 1. Place your first deposit and get a FREEBET back up to 200EUR. 2. Minimum deposit is 10EUR. 3. First bet from your deposit will count towards this offer. The amount you place on your first bet will be eligible to be returned to you as a FREEBET if your bet loses. (E.g. you place 200EUR on a bet and you lose; you are eligible for a FREEBET of 200EUR. If you place a bet lower than 200EUR, e.g. 50EUR and you lose, you are eligible for a FREEBET of 50EUR). 4. FREEBET apply only for Sports Betting. 5. You can only benefit from this bonus ONCE and ONLY on your first deposit. 6. If your first bet turns lost, you need to contact Customer Support to claim the exact amount of your bet as a FREEBET. 7. Only the actual winnings from the FREEBET will be added to player’s account. 8. A FREEBET must be placed on a Single Bet of at least odds of 2.00 and within seven (7) days from the date FREEBET Bonus activated. 9. This Bonus cannot be used in conjunction with any other promotion. 10. “Multiple”, "System" and "Chain" bets will not be counted towards this offer. Player needs to place his first bet on a Single Bet. 11. If you wish to make a withdrawal before you manage to fulfil the wagering requirement, your Bonus funds and generated winnings will automatically be deducted and only your Cash Balance will remain for pay out. 12. Any kind of similar bets will not be counted towards wagering requirement. 13. Bets on Baseball, Tennis, Handicap or Draw no Bet will not be eligible for a freebet if lost. 14. Campeonbet reserves the right to modify, cancel or terminate the promotion at any time. 15. General Terms and Conditions apply. 1. Place your first deposit and get 100% Bonus up to 150€ /£ /$. 2. Minimum deposit to get the Bonus is 20€ /£ /$. 3. Welcome Sportsbook Bonus apply only for Sports Betting. 4. You can only benefit from this bonus ONCE and ONLY on your first deposit. 5. Welcome Sportsbook Bonus will be credited to your account immediately after your first deposit. Please check the guide HERE as you have to FIRST claim this bonus PRIOR to your deposit. 6. This Bonus cannot be used in conjunction with any other promotion. 7. 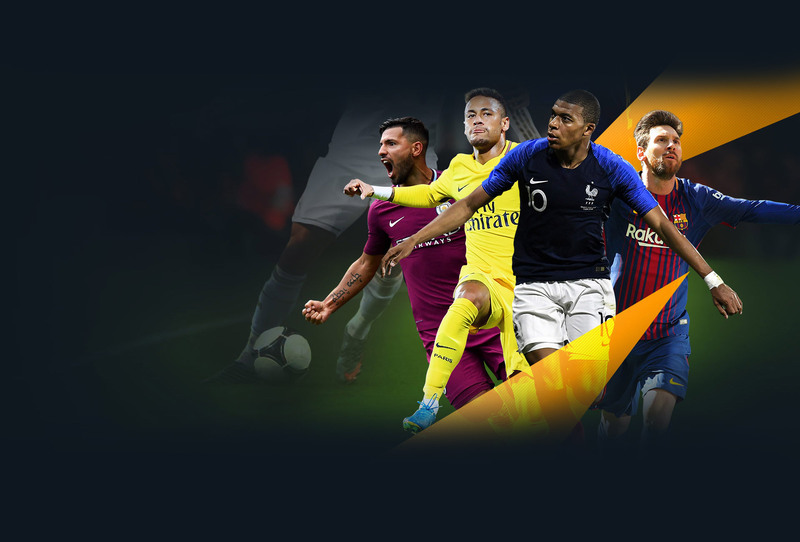 Welcome Sports Bonus is subject to wagering requirement of eight (8) times both the Deposit and the Bonus amount on minimum odds of 2.00 before attempting any withdrawal. Any bets placed on odds less than 2.00 will not count towards wagering. We hold the right to void such bets and forfeit any winnings from them. For "Multiple" bets, all of the selections must be at least odds of 2.00. 8. "System" and "Chain" bets will not be counted towards wagering requirement. 9. If you wish to make a withdrawal before you manage to fulfil the wagering requirement, your Bonus funds and generated winnings will automatically be deducted and only your Cash Balance will remain for pay out. 10. Once the Bonus is activated, the wagering requirement has to be completed within a maximum of 30 days, otherwise bonus and all generated winnings will be lost. 11. Any kind of similar bets will not be counted towards wagering requirement. 12. Bets on Baseball, Tennis, Handicap or Draw no Bet will not be counted towards wagering requirements. We hold the right to void such bets and forfeit any winnings from them. 13. Countries that are excluded from the Welcome Sportsbook Bonus are the following: Serbia, Bulgaria, Montenegro, Estonia, Indonesia, Belarus, Moldova, Armenia, Cyprus, Azerbaijan, Russia, FYROM, Republic of Korea, Ukraine, Greece, Croatia, Nigeria, Slovenia, Poland and Latvia. 14. Deposits with SKRILL/NETELLER are excluded from this offer. In case you use one of these methods to claim your bonus then bonus and all generated winnings will be deducted from your account. 15. Campeonbet reserves the right to modify, cancel or terminate the promotion at any time. 16. General Terms and Conditions apply. Welcome to Campeonbet! The international portal of Latin America’s No1 bookmaker ready to offer its services to you. Campeonbet Sportsbook offers a fast, secure and personalised environment. With over 35,000 live sports events to bet on. Campeonbet Casino offers more than 5,000 casino games, a variety of Live Casino tables from the leading brands, a wide variety of payment methods and continuous promotions and loyalty schemes. Campeonbet play like a Champion!